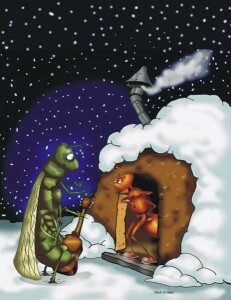 Ants, spiders and other creatures can enter your home any time of year become a nuisance for you and your family. While most spiders and all ants are harmless enough, their presence in your home may make you feel like it is dirty, uncomfortable and like these creatures are literally crawling around you. To eliminate an ant or spider problem any time of year, you can contact a professional pest control specialist. Eco Tech is a leading pest control service that serves the Minneapolis, MN area with more than 15 years of experience dealing with pests in the area. Eco Tech offers organic insect, pest and animal control services so that you can feel safe and confident that the chemicals and solutions used are safe for you, your family and your home. We have all had pests in our home or business, there is often no way around it. They come in through small cracks and crevices or just through the front door when it is left open by the kids. There are many do it yourself pest control substances on the market, but they are spotty at best and often contain harsh chemicals that are unhealthy for you, your children or your pets to be exposed to. Eco Tech is extremely familiar with all types of pests in the Minnesota area, and our staff is trained to locate the pests as well as their entry point so that you will not have an ongoing problem. In addition, our team can also repair any damage to your home or property that has been left behind by the pests. Eco Tech believes that we all have responsibility to our environment. For that reason, we only use products that will not harm the environment or the people or animals in it. Our company stays away from synthetic poisons and instead uses solutions that are safe and effective. Eco Tech stands behind our work, offering a four year warranty, one of strongest in the business. In addition, we require no contracts and so you can be confident that you are only paying for services that you actually need. Our team is honest, reliable and easy to communicate with, so you can expect prompt, professional service. For more information about Eco Tech or to schedule an appointment if you need immediate assistance, call our 24 hour emergency line anytime at (612) 237-8282 or (763) 232-7296.